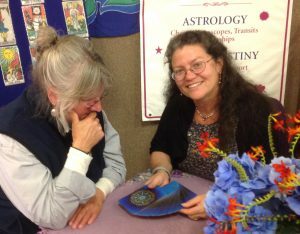 When can you confidently call yourself a professional tarot consultant? How do you know if the readings you offer measure up to what potential clients would describe as a professional service? Tarot is an area where many people start by doing readings as a sideline to a ‘mainstream’ job. Gradually they find they want to turn their casual tarot consultancy service into a full-time occupation. Katrina Wynne’s Certificate course in professional tarot consultancy has been designed to meet the needs of the growing number of people in this situation. 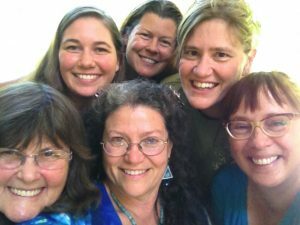 Techniques for fine-tuning tarot reading skills are covered in the classes, but so too are the skills needed to develop a professional tarot business. These include basic counselling skills, ethics and business skills, particularly in the area of marketing and promotion. When you sign up for the course you receive recordings of the eight classes and access to a private online discussion group where you connect with Katrina and a community of enthusiastic learners for a period of eight weeks. You have access to additional resource materials and the opportunity to discuss topics, practise exercises and receive personal supervision from Katrina. The classes have also been packaged as four sets of master classes which can be purchased separately from the full Certificate program. 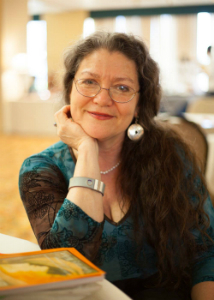 Here I talk with Katrina about the background to the course and her approach to guiding and mentoring tarot readers on their professional journey. 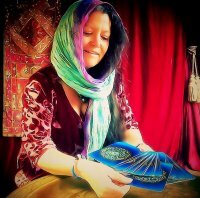 LM: What are the benefits of a certificate course for tarot readers or consultants? KW: A certificate program sets specific goals and establishes a curriculum for achieving those goals. It’s an agreement between facilitator and student that sets the parameters for activities and shared learning. Receiving a final certificate honors and celebrates students who have made a commitment to their own excellence in a topic of personal interest, often associated with their chosen profession or occupation. Working toward a certificate can also be a motivating force for people who might otherwise lose their focus. LM: What’s your answer to sceptics who say that reading tarot cards is too nebulous an activity to have formal training, let alone a certificate course which implies that tarot reading is a ‘real’ job? KW: Reading cards, much like counseling, holds the heart and soul of another in one’s hands. Counseling skills and ethics are essential knowledge, values, and skills to be utilized in a professional manner, within the scope of one’s practice. Scope of practice is determined by one’s training and certification, as well as local ordinances and laws that affect one’s profession. It is my belief that we can all raise the bar as readers to meet more professional standards while educating the public on the diversity of styles of readings and the valuable service we provide. Katrina surrounded by a bunch of happy students at one of her regular Tarot Retreats. LM: What led you into designing a certificate course? KW: After hundreds of requests from around the world to bring my Transformative Tarot Counseling™ Certification Program to their area or to offer classes online, I spent years searching for an internet format that would support the kind of two-way interactive learning style that I prefer. It is important to me as a teacher to get to know each student and to customize some of their learning to support their unique interests. Call me old school, but I like that personal touch. When I discovered Global Spiritual Studies I knew I had found the best home for my presentations and coursework. Students enjoy the video presence of the presenter who guides them through a PowerPoint presentation. As a Tarot “visual”, I find this is better than writing a book. It brings the lessons to life in ways words can not. I take full advantage of this wonderful visual medium in each class, chocked full of illustrations, helpful guides, and handouts. LM: How did you find the process of converting your face-to-face program into an online format? KW: It was a daunting task to condense each six-hour workshop into a 1-hour multimedia presentation. Plus, I reorganized some of my course materials and expanded upon topics, such as what it is to be intuitive or psychic. Professional business and promotion is another subject that underwent considerable expansion. After 20 years as a public reader and teacher, I had a wealth of experience to share in that area. For each recording I created new illustrations, reached out to wonderful artists and bloggers to share their visual graphics, re-worked the exercises to support solitary as well as group activities, updated my references and resources, developed new handouts, and talked a bit faster than I would normally..HaHa! In addition, I expanded much of the presentation to incorporate other styles of reading, such as Petit Lenormand, I Ching, and other oracles. LM: What can students expect during the eight-week periods when you’re actively participating in a private online discussion group with them? KW: First, I strongly recommend that Professional Tarot Consulting Certificate Course students purchase and view the recordings as soon as possible, possibly watching them twice. I also urge each student to watch my “Beginning Tarot – Knowledge” mini-series first to prepare them for my unique, psycho-spiritual approach to Tarot and all things metaphysical. After the first viewing of each class, read the required reading. This will help pull the lesson together. The “secret” online study group is by invitation only for currently registered students. We work together on all sorts of activities – from discussing topics, reading assignments to exercises in dyads. I provide personal supervision, inspirational resources and links, not to mention a list of over 1000 titles in my personal library! To receive a certificate students complete a written assignment and a final exam. This is not as scary as it sounds – the questions are relatively easy and drawn from class materials and readings. Once students have completed this fast paced experiential group and been awarded their certificate, they are invited to join the ongoing support group with a wonderful community of past graduates. From the Rider-Waite-Smith Tarot deck published by US Games Inc.
LM: Some classes cover topics that appear to go beyond the skills and knowledge required by tarot readers. For example, Kabbalah, astrology and alchemy. Why do you include these topics in your program? KW: Many tarot and other decks incorporate these metaphysical traditions. 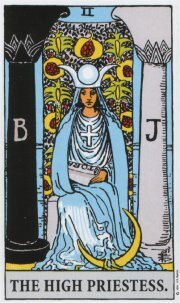 Look, for instance at card number 2 in the Major Arcana, the High Priestess. In the Waite/Smith and many other Tarot decks this card has a multitude of symbols that enhance the diversity and depth of its message. For example, from a numerological perspective the number two represents balance between worlds, conscious and unconscious, also pure Yin energy. From a Kabbalistic perspective you have the two columns “J” and “B” (Joachin and Boaz) from the Temple of Solomon, the outer, dualistic pillars of the Tree of Life. You can also look at this card with an astrologer’s eye – the Moon suggests feminine cycles and wisdom, which in Greek mythology equals Artemis. From a symbolic perspective you have pomegranates (= fertility), a veil (= gateway between worlds) and a blue flowing gown (= water and unconscious realm). The alchemical lesson illustrates the process of change, which is the goal of many readings—how can I change my life in a more life-enhancing way? LM: What do you see as the final outcome for your students? KW: By the time each student has completed this certificate course, they have an increased respect for the diversity of Tarot and other oracles. But more importantly, they begin to move in a direction that calls to them, incorporating what is useful and leaving what does not fit their current needs. All this is accomplished in a supportive learning environment where students get to experiment and try on new skills as they develop their own style. What advice do you have for tarot readers who want to make the transition from casual to professional reader? From your experience, do the topics covered in Katrina’s Certificate course hit the mark? We’d love to hear from you! If you feel you need to learn the cards before doing Katrina’s program, take a look at the Live and Learn the Tarot course – https://globalspiritualstudies.com/product/live-and-learn-the-tarot/ . Thank you for your interest in my online study courses. I highly recommend my Beginning Tarot series to prepare for the more advanced Professional Tarot Consulting Certificate Course . Please let me know if you have any further questions.